Made for Baby and the U.S.A. Appreciation for American-made products is all around us. As the economy recovers, more entrepreneurs are taking advantage of the benefits of doing business here at home. You can see them at every trade show and market, bringing their innovation and creativity to wholesalers. Retailers are realizing the impact of a “Made in the U.S.A.” stamp. When customers buy American, they can be confident that they’re purchasing a product that is manufactured to high standards in responsibility to the environment, treatment of employees and reliability of delivery. Not only are American-made products a more ethical choice, they also tend to be created by people who have inspiring stories to tell. The Giggle Guide® presents another selection of these products, including Raindrops, Tidy Tots Diapers, Pure Play Toys and AXL Brand. 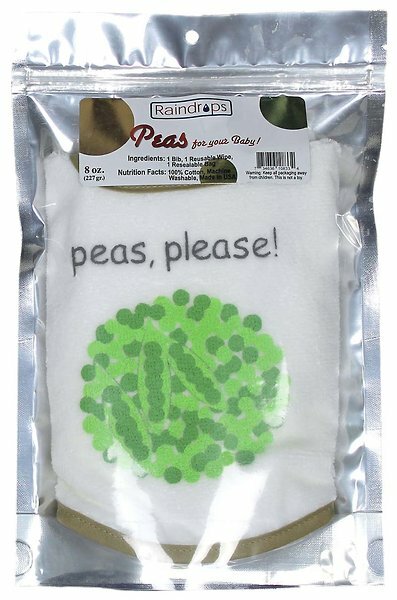 Raindrops is a company with a long history of bringing customers well-made products. Since its founding in 1936, Raindrops (initially known as Givens Co.) has offered baby blankets, christening gowns, “baby’s first” gifts, layettes and other infant accessories. They also provide custom embroidery services to individuals and businesses. One of the most notable things about the history of Raindrops is that it was a woman-founded, woman-owned business during a time when such a thing was fairly rare. It all began when neonatal nurse Dee Givens had an idea for an invention. The “dri-ette,” as she called it, was a baby cover that would provide added protection from wet messes. 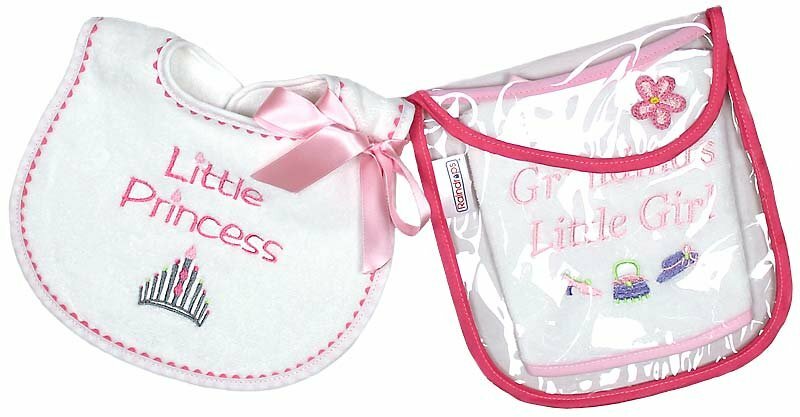 She imagined and created this unique product years before disposable diapers, infant pants and other waterproof baby things were available. Givens knew she had something special; she was so confident in fact that she went to a local bank and asked for a loan to start her own business. Using her wits and sharp people skills, Givens was able to win the loan officer’s trust and secure the start-up funding she needed to launch her business. The current owners of Raindrops have great respect for Givens’ legacy and seek to continue providing customers with great products and service. Thanks to the rising awareness of environmental issues and more fashionable and convenient options, cloth diapering is growing in popularity once again. That doesn’t mean that cloth diapering is without its challenges. Some parents have a hard time choosing between the various products and accessories available. Even eco-conscious parents usually want a cloth diapering system that is easy and convenient that they can integrate into their busy lives. 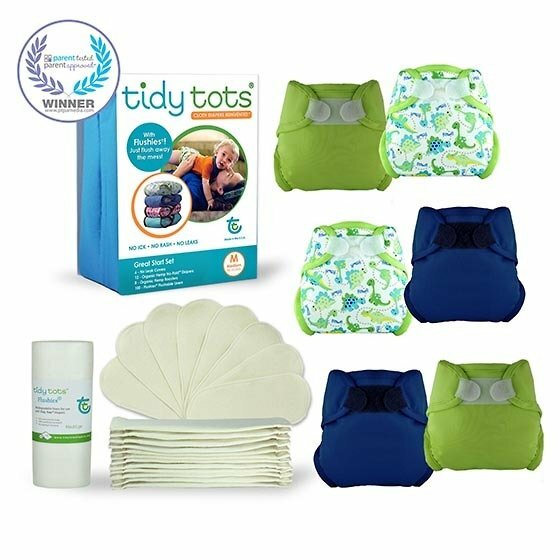 Tidy Tots Diapers is among the companies creating products for the cloth diapering revolution. 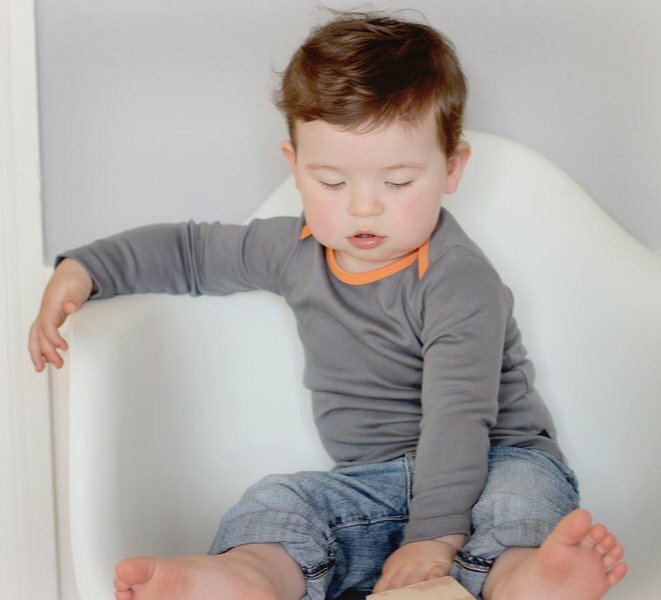 Founder Sandra Beck started Tidy Tots after learning through experience that cloth diapering reduced diaper rash, and resulted in fewer leaks and increased savings. Their attractive and functional products are designed to streamline and simplify the cloth diapering experience so that more parents will feel confident to give it a try. It may seem like the most popular toys are associated with a movie, TV or video game franchise. This isn’t a necessarily a bad thing, at least not for the big companies that profit from the sales of these items, but some parents wish there were more toy options that promoted imagination rather than just consumption. For those parents, Pure Play Toys is a dream come true. 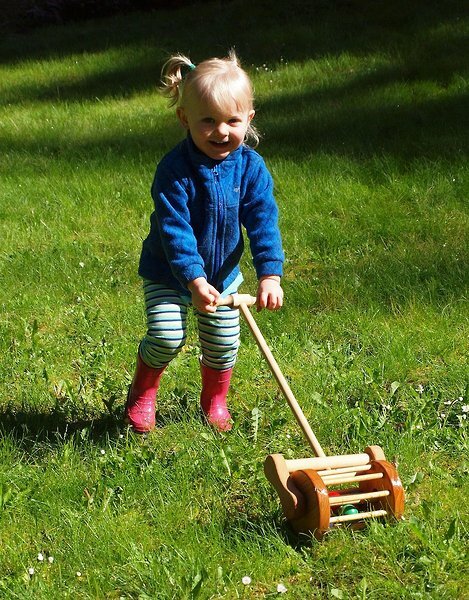 Pure Play is a toymaker that specializes in natural wooden playthings. 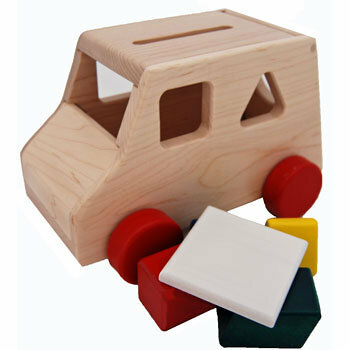 Kids can enjoy such classics as wooden blocks, trucks, lawn mowers, cash registers and more, all painted with bright, vivid lead-free paint. 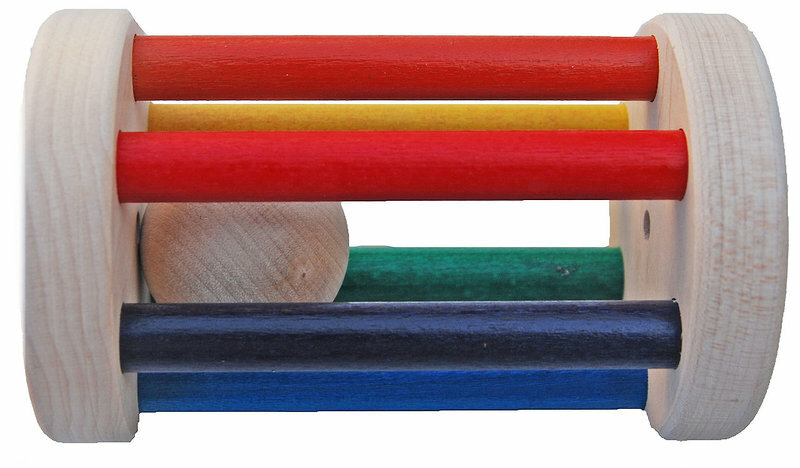 Pure Play was founded by Mike and Tania Grant, a Tennessee couple who had a vision for a unique toy business, inspired by things they looked for when shopping for toys for their two children. 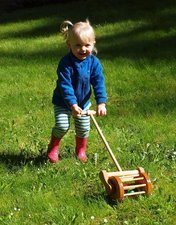 This vision included battery-free, no-nonsense toys made of natural, eco-friendly materials. They wanted their products to be made domestically in order to adhere to ethical environmental standards and to provide jobs for American workers. Now that their goals have become a reality, the Grants are hoping to expand their line and continue to offer high-quality, American-made products to retailers across the country. AXL Brand founder Ryan Lafrenz had been working in the environmental industry for several years when he decided to switch tracks and start his own line of baby clothes. The inspiration came during a time when many of his friends were starting families. 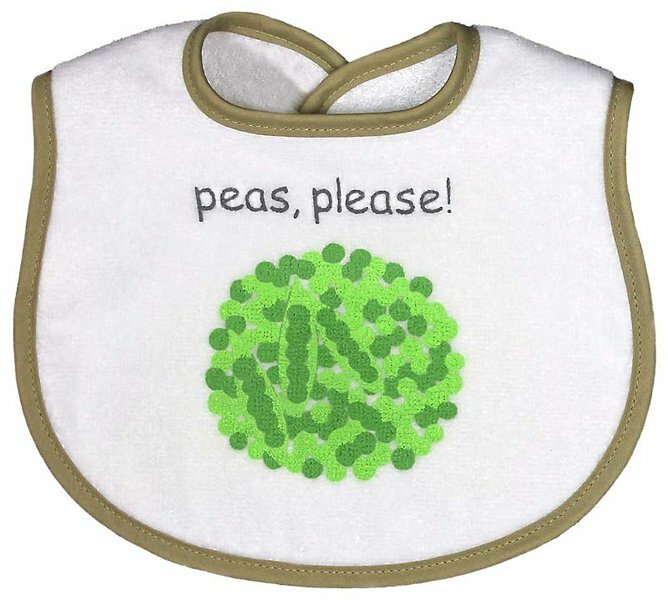 While shopping for baby gifts, Lafrenz noticed that almost all the offerings featured traditional infant prints (animals, flowers, etc.) in either primary or pastel colors. 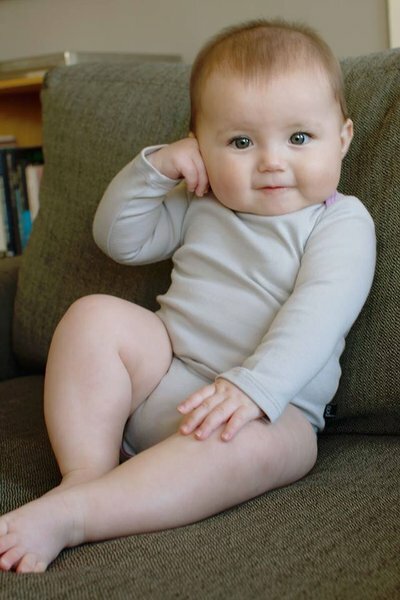 He wondered if there were any infant clothing designs that were more understated and sophisticated. The idea for his business began to take shape in 2011, the year that he and his wife became parents for the first time. Lafrenz set out to create what he had a hard time finding in stores: a line of baby clothing that featured modern, clean lines and a gender neutral look. Luckily, he found a very supportive apparel industry in the San Francisco area. He toured factories, took classes and began to establish his brand.The result? A line of simple, stylish one-pieces, footies and jumpers that are a far cry from average babywear.